How do I use tags to see who started or finished my workflows? You can see which workflow your contacts have started or completed by giving them workflow-specific tags. Use a tag that you can easily associate with a given workflow. For example, you could tag your contacts with the workflow name. Once your contacts have this tag, you can use Search Contacts to find all tagged contacts. You can also review individual contact’s tags in their Subscriber history. If your goal is to tag everyone who entered a given workflow, use Tag as the second element. If your goal is to tag contacts based on how they’ve advanced through your workflow, use tags as final elements. 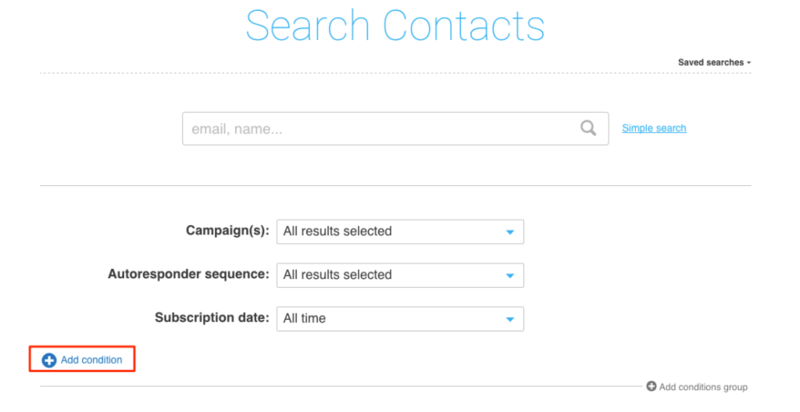 The first option produces a relatively broad group when you Search Contacts. The second option lets you create segments based on their actions and responses to your strategies. You can then use the segments to better target your contacts. Go to Automation>>Create a workflow (or take this shortcut) to create a new workflow. Add the Tag action to the workflow. You can do it as you go. 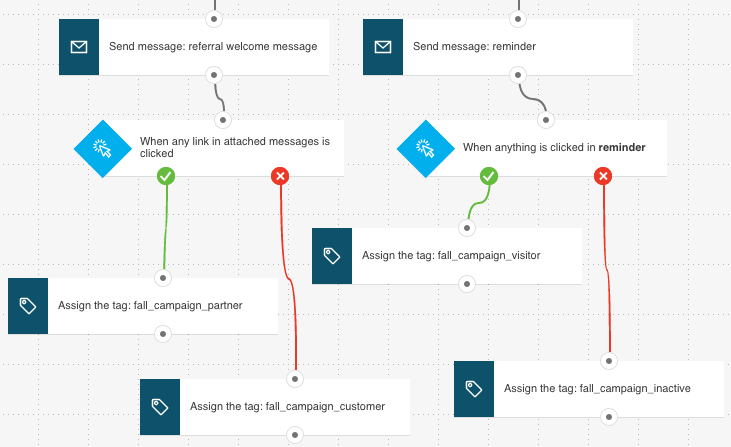 You can also build the entire workflow first and then decide where to add the tag or tags, and connect them to appropriate elements. 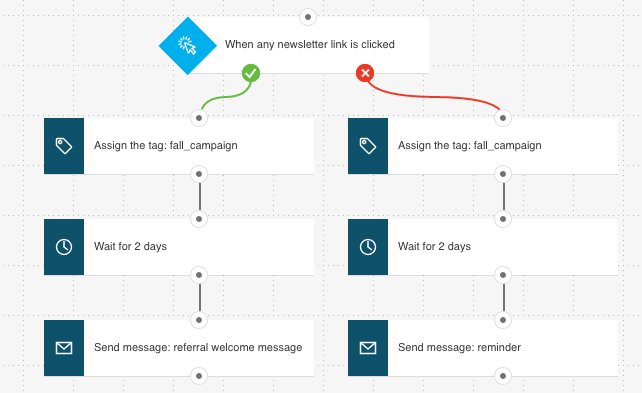 Go to Automation>>Manage workflows (you can use this shortcut). Select the workflow you’d like to edit. Decide where you’d like to use the Tag action and add it to the workflow. Go to Contacts >> Search Contacts (or take this shortcut). 4. Expand the Choose condition menu and select Tag. 5. Choose the workflow-specific tag from the drop-down list. The results page shows you the contacts with the workflow-specific tag. Optionally, you can select Save search in the Actions menu to create a saved search.